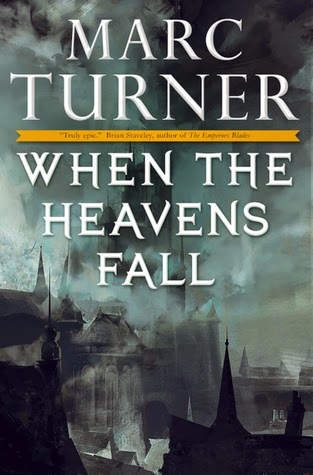 A trio of new review titles added to the stacks this week, including a little alternate history, some female-led fantasy, and some supernatural horror. Austin Grossman remagines the Cold War as an epic battle against the occult, waged by the ultimate American antihero - Richard Nixon. 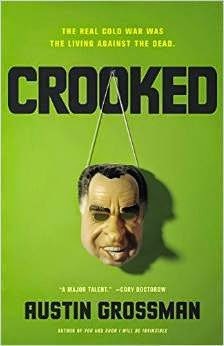 Yes, Grossman establishes a terrifying supernatural secret as the truth behind the Cold War and the Watergate cover-up, transforming Nixon into a pivotal figure caught in a desperate struggle between ordinary life and horrors from another reality. 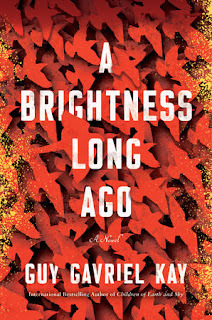 The cover blurb describes this as a mixture of Lovecraftian suspense, international intrigue, and Russian honey traps in a masterwork of alternative history that is equal parts mesmerizing character study and nail-biting Faustian thriller. Sounds like fun. Two days ago the King of Taxis invaded the witch lands. Yesterday, at her mistress’s command, witch aspirant Lilta killed the King. This morning a traitorous witch, who urged the King to start the war, killed two thirds of all the witches in the world. She and her followers are hell-bent on exterminating the rest. At first it seems that Reeva, the leader of the traitors, wants to rule the witchlands - until Lilta learns that Reeva’s goal is not power. I was reluctant to take on another indie fantasy when I still have so much reading to do for the Self-Published Fantasy Blog-off, but a war of witches sounded too good to pass up. Don’t hurt Jane. You may live to regret it. Bullied by her abusive father, Jane always felt different. Then the lonely child found a friend in a mysterious dark lady who offers her protection—a lady she calls her “angel”. But that protection carries a terrible price, one to be paid with the souls of those Jane chooses to suffer a hideous and eternal fate. When Jane refuses to name another victim, the angel reveals her most terrifying side. Payment must be made in full—one way or the other. 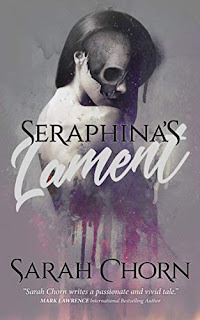 Samhain is always good for a solid horror read, and I likely would have requested this if I'd come across it on NetGalley. Fortunately, Catherine came to me first, and I was happy to accept. 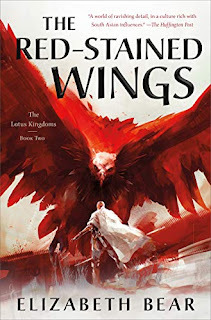 I managed to get 3 of last week's titles read and reviewed, which is fantastic, but it's time to start looking at those release dates again as I get back into the review queue. 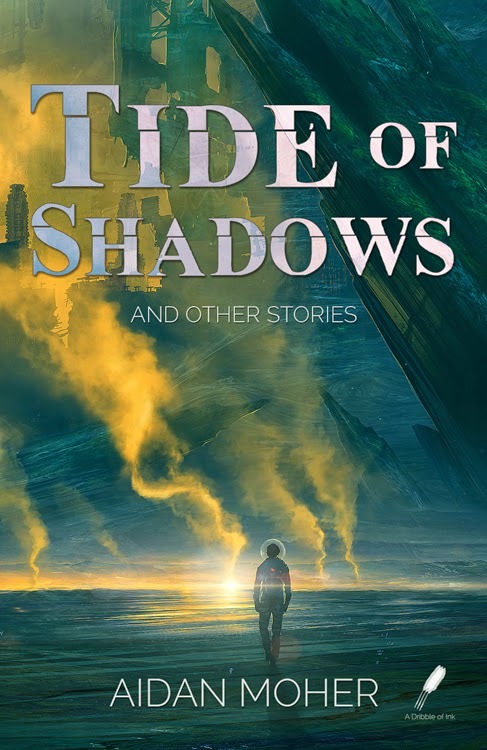 With Aidan stopping by on Tuesday for a guest post, I'm definitely anxious to get a review posted to coincide. Fortunately, this is a short collection, perfect for devouring over a hot, humid, not-quite-summer weekend. I'm taking my time with this, given that there's still over a month to its release date, but definitely enjoying it. The dinosaurs are fantastic, I won't lie, but I'm really liking the characters and the overall storytelling voice as well. A power-hungry necromancer intends to use the stolen Book of Lost Souls to resurrect an ancient race and challenge Shroud, Lord of the Dead for dominion of the underworld. I've been sitting on this one for a while, but with the release date in sight, I'm very excited to finally be able to share. 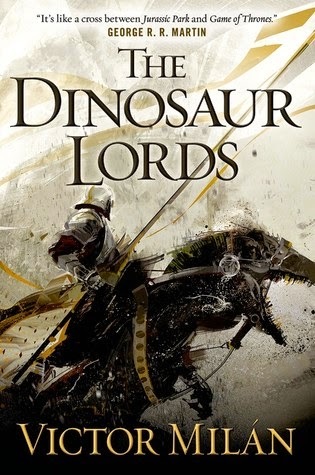 dinosaurs fantasy horror Mailbox Monday sci-fi Stacking The Shelves What Are You Reading? Some interesting sounding reads in your post this week! Dark avenging angel sounds pretty good. Enjoy your books! 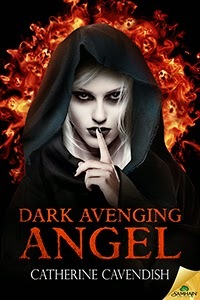 DArk Avenging Angel sounds pretty great! I'm hoping to start When the Heavens Fall around mid-month. I really think it has potential. Nice haul! I am happy to hear that THE DINOSAUR LANDS is good -- that's one I'm really looking forward to myself, so it's always nice to hear positive things. "When The Heaven Falls" seems interesting.